Affordable brake kit for anyone who wants performance beyond what stock brakes can offer. High quality brake disc from American Foster Automotive with straight grooves and a corrosion protected hub. 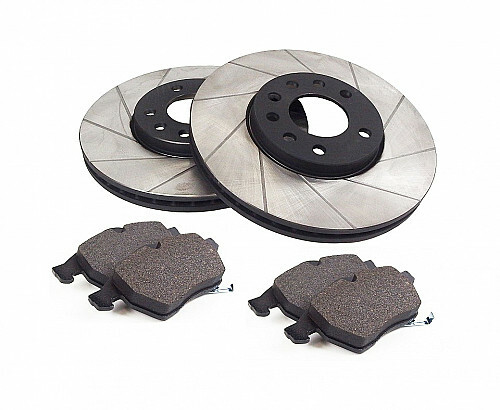 The included Ferodo DB brake pads are suited both for everyday as well as sporty driving.